What does a mos do??? His job scope and his KPI?? How come the ST article never mention about gct wanting elderly to work as $1k table cleaner????!!! But seriously thumbs up to our bro Abdul aziz who dared to ask the tough questions during the meetup session..
What is the Govt paying woody so much to do what? 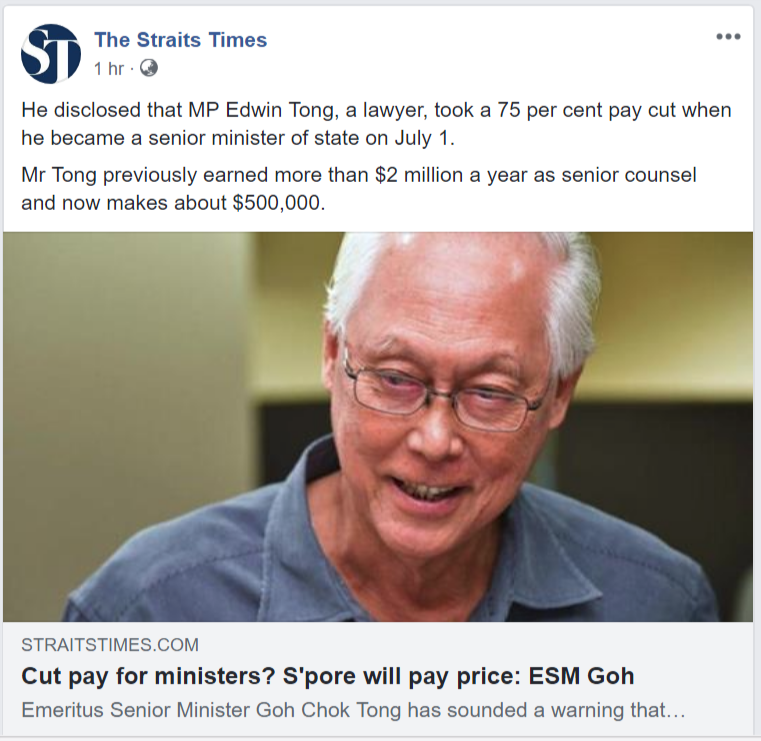 Edwin Tong 2 million salary came from Con Hee money. As a PaP MP becos of huge legal fee from City Harvest Con Hee, he make at least 5 mill from Con Hee money. Being a SMS becos of the title, he has intangible benefit over other lawyers, that why he charges a higher fee. Being MOS means he cannot continue his lawyer business already right?? Or part time MOS also can meh? Oh ya. He found a hole in our law to lessen con hee accountability if I am Not wrong. Current time: 19-4-2019, 4:36 PM Powered By MyBB, © 2002-2019 MyBB Group.